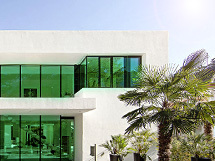 High performance and security window film available in clear safety film or with a tinted sun control option to reduce heat, glare and UV light, at the same time for safety, security and privacy. Most proficient and experienced film specialist to demonstrate their professional installation skilled for a new dimension of affordable, effective, safe & security window film for better protection and delivering satisfaction to fulfill your needs. Safety & Security Window Film is designed to provide you with better security and protection. 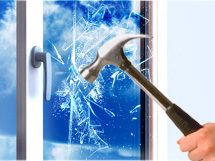 Our films will strengthen the structure of the glass, helping to hold shards of glass together in the event of breakage, which may cause damage and injury, whilst protecting occupants and property in the event of criminal activity or accidental such by hit of a tiny rock, smash and grab burglaries, to home invasions. 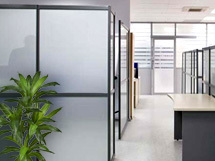 Over exposure of sunlight can be damaging to merchandize and furnishings, a distraction glare on computers, uneven temperatures in your building and heat transmitted through glass can quickly become unbearable. Our films are ideal to enhance and protect your office building from the solar heat gain and glare through your windows and increase glass safety & security in one application. Privacy, modern a space with unique designs, whereby this feature also gives you the power to block out the unsightly or unwanted views that normally stare at you through your window. Have your own logo, design or idea? We can help you apply it in frosted glass. It looks modern & sleek. But, more importantly, it creates complete privacy for you! 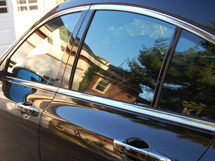 PROTECT YOUR INVESTMENT - Regardless of whether you're tinting your vehicle to quiet screaming kids who go nuts from the glare of the sun or if you want to add some style or privacy to your new ride, we have the film for you, SAV-GARD automotive solar control window films, the very best film available anywhere. So if you're looking for a relatively inexpensive way to enhance your vehicle's appearance - and keep it looking newer longer - while protecting yourself and your passengers, the choice is clear.